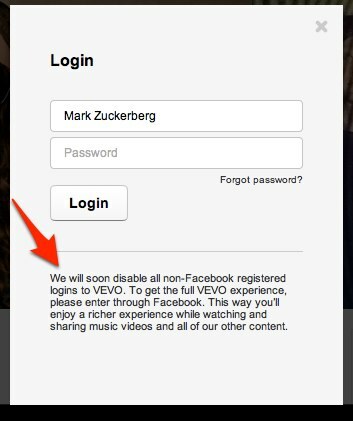 Last September, VEVO announced a Facebook integration that would allow you to share videos with your friends on the social network as part of its launch on Facebook’s Open Graph at f8 last year. There have been rumors that VEVO, which is owned and operated by Universal Music Group (UMG), Sony Music Entertainment (SME) and the Abu Dhabi Media Company, had been talking to Facebook about moving the hosting of its platform away from Google’s YouTube to the social network’s. This would be a huge coup for Facebook, as musicians are finding quite a bit of success using its social network to share tracks and connect with fans. Will the full experience soon be one without the VEVO branded YouTube player? It’s unlikely that a deal with Facebook will be struck before the company comes out of its quiet period pre-IPO, but the partnership would likely drive up the interest for buying shares in the company as controlling the experience of music videos from record labels like UMG and Sony would be a huge boon for Facebook advertising.